With iOS 6 available throughout the day, we will make a summary of all the news we can find in this version of iOS, which although not "revolutionary", implemented many improvements to iOS itself. We started talking about Siri, which has improved in many ways, starting with the language and integration with the new iPad and iPod Touch 5G. Now speak new languages, among which are Spanish, Italian or Chinese. Another novelty is that the search function is available geolocated in other countries, not just in the U.S. as usual. Then we can search for restaurants or shops near our position. Also new is the ability to display sports scores, comparing data of athletes, movie theaters, etc.. besides being able to open applications, tweet, post to Facebook, create calendar appointments, send messages ... all in Spanish complete. The integration with Facebook is another innovation, allowing us after our account settings, share photos, links or location directly from the default applications (as already happened with Twitter). Also allows us to synchronize our agenda with information and birthdays of our friends in the social network, appearing in the calendar and agenda. 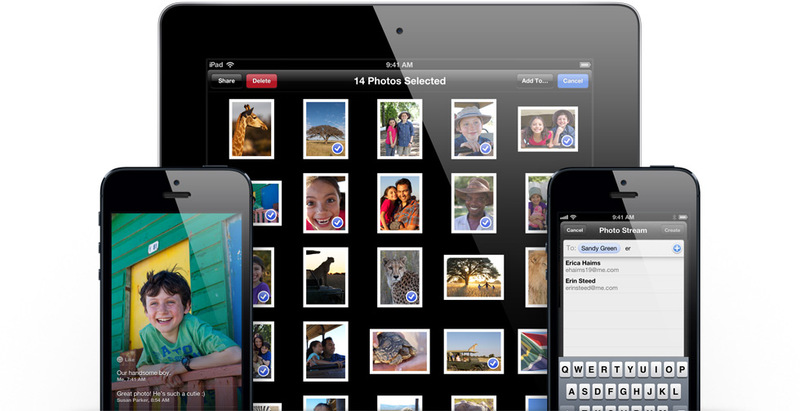 Photos streaming gains a new function and can now share photos with whoever you want (always using iCloud and iOS 6 also). Thus we select the photos automatically appear in the devices of our friends and may be reported in addition to comment on them. Removing the Google Maps application for the new Apple Maps application is one of the most important news. Now, we will have access to maps aplicaión Apple itself, with an option for 3D visualization of the cities that are available (now in Spain for Madrid and Barcelona). In addition, we have implemented a new system turn navigation (with voice prompts). The trouble is that we have lost features like Street View. A note also that the native YouTube application has been removed, so you'll have to resort to the new YouTube application that Google has released in the App Store in order to keep her. 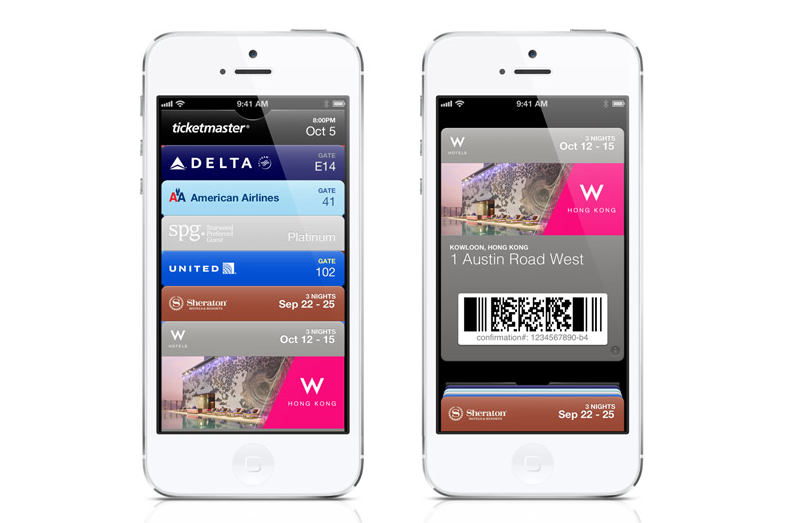 Passbook is another new iOS applications that meet in June, but by itself does not expect to do anything, and that is that this application is a "portfolio" where we keep our tickets, tickets, discounts, etc.. But this , the corresponding services that will support the new Apple system. For example, ticketea announced that tickets could be downloaded in this format and it seems that it will also TicketMaster. The phone application has won some functions, such as being able to send a default message who we call when we can not pick up the phone or make the iPhone remind us a call canceled. FaceTime can now be used from the telephone network and not only through Wifi, so we can make video calls from anywhere with an Internet connection. Find a new way device settings: Do Not Disturb. This new option will allow us to schedule a time (or turn on and off at any given time) and the phone will stop making them sound notifications. Thus, for example, we can schedule it for 23:00 to 8:00 not our phone ring or vibrate. Of course, we will receive all notifications just simply will not be warned while phone is locked. The Mail application has improved its creation options, allowing us to add videos and photos directly from an email (without having to first go through the Photos application). In addition, we can create mailboxes add VIP where important people, whose post will sound differently and are organized in a mailbox itself. The camera is a new feature: Panoramic photo, allowing us to take panoramic photos directly (and very easily) from the Camera app. Finally, Safari has received some improvements, like the ability to upload photos or videos directly to websites, offline reading list to read the websites we want without Internet access, full screen option tabs horizontally and shared iCloud may have opened the same in all our devices with iOS 6 or Mountain Lion. When using the App Store, or whenever actualizemos unload an application will not close the store, but will be made directly download and can see the status of the download from the icon of the app page itself. It also lifted the obligation of having to put the password update when opening applications or applications you have installed from the store. When finished installing a new application, its icon on the desktop will be marked with a label of "new" that will not go away until we open for the first time. In the Mail application, has added the role of "pull to refresh", as used by many apps like Twitter or Facebook. The option is also given in Spanish, so we will see a new icon on the keyboard that will allow us to dictate our texts directly. A new widget will allow us to share posts directly to Facebook or Twitter from the notification center. Bluetooth options now appear directly in settings without having to go to General. We have a new Privacy menu, where you will see all the apps that make use of our data: photos, calendar, calendars ... Being able to authorize or desautorizarlas when we want. At last we can set different signatures to each of our emails. In the alarm creation screen, you can select a song from our library to sound at the specific time. Spotlight show, to find an application in that folder is located. In addition, several graphics applications have changed, as the phone time application, the interface of the camera, screen sharing items or the App Store and new icons have been added Emoji keyboard. 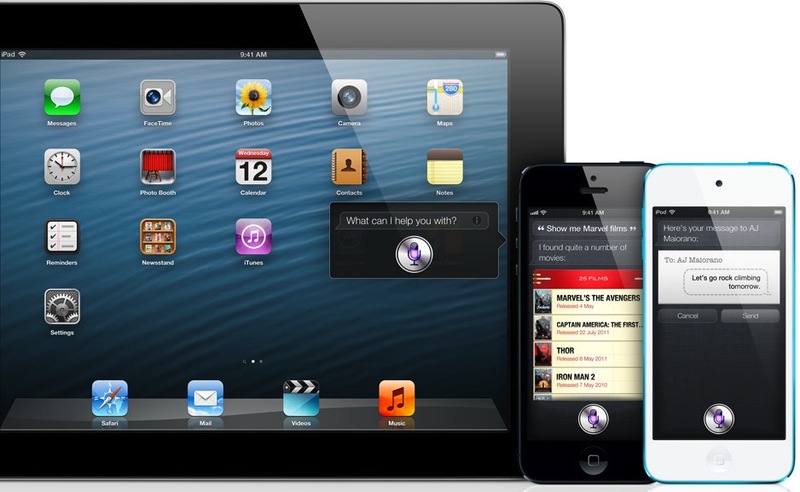 Siri is only available on iPhone 4S, iPhone 5, iPad 3G and iPod Touch 5G. The turn navigation and Flyover (3D) is only available on iPhone 4S, iPhone 5, iPad 3G and iPod Touch 5G. 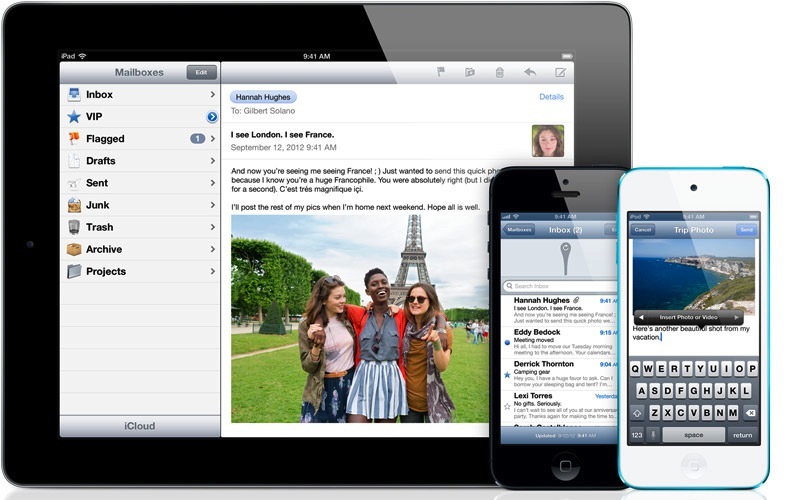 FaceTime over 3G requires an iPhone 4S, iPhone 5 or iPad 3G. 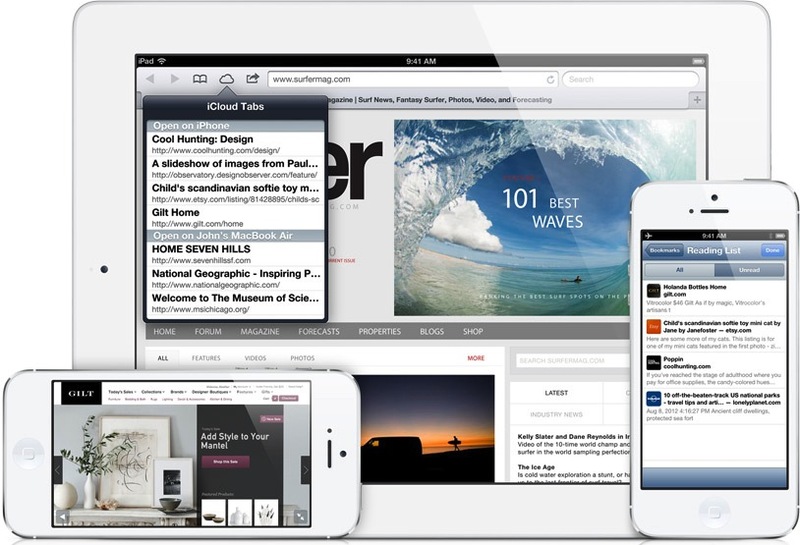 The list of Safari offline reading, is excluded from the previous iPhone 3GS or iPad 1. Panoramic Photos run on iPhone 4S, iPhone 5 and iPod Touch 5G. Some functions are restricted Siri to other countries: Booking restaurants, movie review, Movies will not work in Spain. You can consult your countries from this site . Many of you may be wondering about the jailbreak, well, for now we have to wait. Since we published last week but that was achieved in the GM version , was merely a preliminary and much work to do to have a functional jailbreak for all iOS users in June, so the Dev-Team urges patience. As always, when they appear new on the subject, we will publish without fail. And you, you intend to upgrade to iOS 6? What do you think their news? Once available we will update you know with a new post.